It's Friday, it's my day off, and it's REALLY cold. There's a fire in the fireplace, there's a dog sleeping by the fire, and I have time on my hands. This can only mean one thing. And I apologize in advance. Today's movie, courtesy of Netflix streamed through my ROKU box into my wide screen high definition Tee-Vee is 1998's Tactical Assault. A “made for video” thing. Also, a “made in Hungary” thing. No good can come from this. Absolutely no story to get in the way of the plot here. 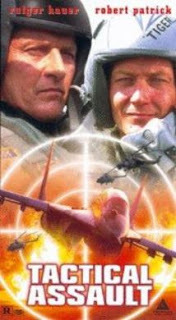 Crazy fighter pilot tries to shoot down civilian aircraft in, well, some war....maybe Gulf I, maybe, Bosnia, hell, maybe Vietnam. It's impossible to tell by the stock fighter aircraft video they used, that's fer-sure. His not crazy wing man shoots him down, but doesn't kill him in the process. Later, the insane one is rehabilitated and returned to duty and seeks revenge on the not crazy one. Lots of stock fighter jet footage. Tank battle. Rocket launchers. Pregnant wife of the not crazy pilot is a target. Good guys win, crazy pilot is finally dispatched, pregnant wife gives birth to, well, doggone-it, just the prettiest baby you ever saw. 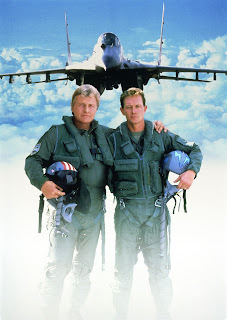 Environmentalist Holland native Rutger Hauer plays the crazy pilot. Rutger has been in the movies since at least the 60s, but he will always be the Huntsman in The 10th Kingdom to me. 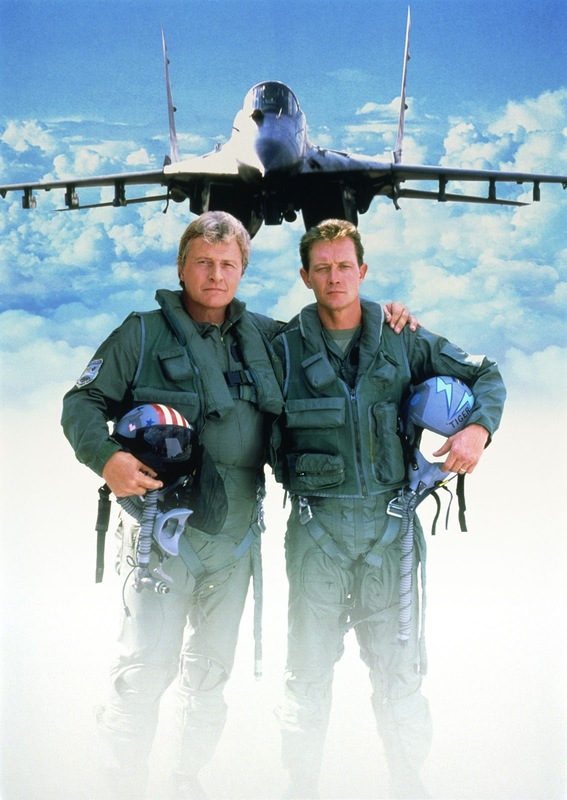 The uncrazy pilot, and hero of the story, such as it is, happens to be Robert Patrick. This payday role was planted between his appearance as a Terminator, in, um, Terminator II and his most pleasing role of Agent Doggett on the X-Files. Patrick was raised in Ohio, and went to Bowling Green.....spent some time working as a house painter, and quit that, moving to El Lay to pursue acting after a boating accident on Lake Erie. A more useless waste of an hour and a half I cannot imagine. Worth a look only to see what lengths actors have to go to earn a living.